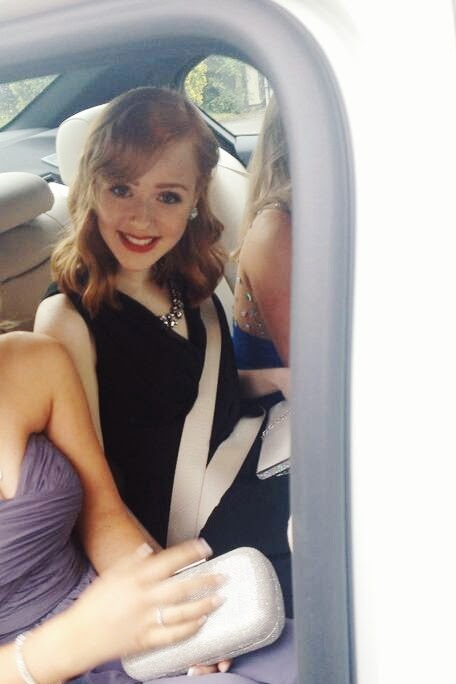 Thursday 26th June 2014, I attended my Year 11 prom and can honestly say it was amazing. We began with a delicious meal and continued our night with fun games and A LOT of dancing. Me and my friends danced constantly and belted out Mr Bright-side SO loud that i have woken up with no voice this morning aha. Anyway, i thought it would be interesting to write a post on the look i went for at my Prom and how i went about putting my outfit together. I hope you like it! 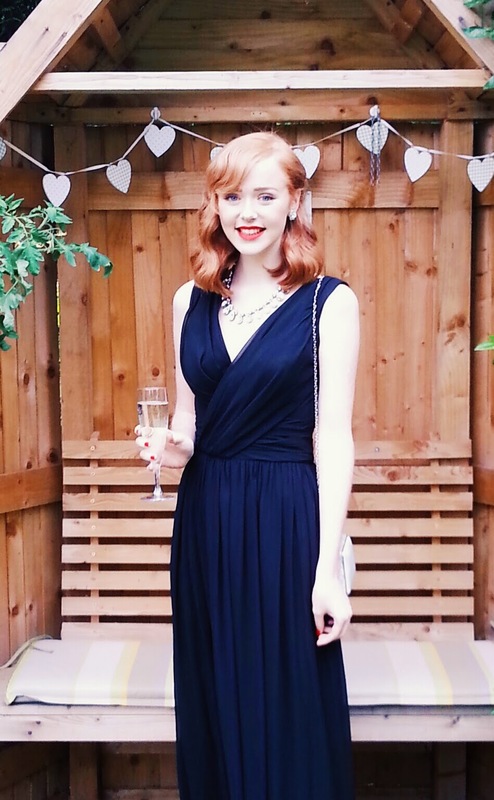 With my prom dress and outfit, I wanted to send out strong Marilyn Monroe vibes. That's right... If you can't already tell, I love 50's style and i'm all about red lipstick and classic clothes. I decided to wear a long, black chiffon dress with a wrap over front as I thought that the contrast between my pale skin and the deep, dark black could really capture people's attention. I wanted to create a classic and elegant look; feeling as if I had just arrived on a red carpet in Hollywood. For my make up I went for a classic red lip using MAC Lady Danger and I created a neutral smokey eye with the use of MAC Cork Eye Shadow along with some gorgeous glitter. 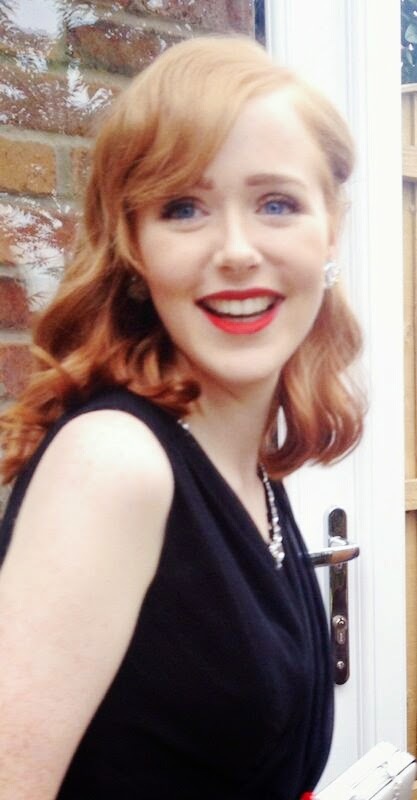 I love very simple make up, as many did during the 50's, but I did try to add a bit of glamour to this look. I used NARS Laguna Bronzer to contour my face and create those defined cheek bones and painted my nails with American Apparel's Downtown LA Nail Varnish. 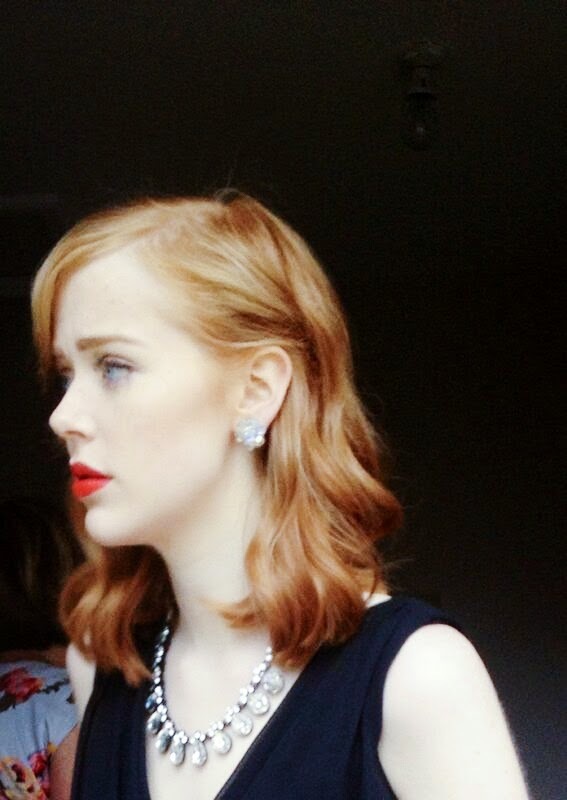 The red lip and red nails tied the look together and also contrasted with both the black of my dress and my pale complexion. Red was most definitely THE colour of the era, red lips and nails everywhere, inspired by Miss Monroe. My dazzling rhinestone necklace was purchased from Zara and I wore my ring from Pandora, gifted to me by my friends earlier this week on my birthday. I also decide to wear some crystal clip-on earrings, shaped like pretty flowers, which were actually originally my Great Nanna's. I never had the great opportunity of meeting her however, a lot of her jewelry was handed down to me and I always find myself looking for bits of old jewelry i can style up; like the earrings in this look. I love the chic feel that these earrings created and I think they helped to draw in attention. I wore black court heels from Topshop to match the colour of my dress but unfortunately during the evening one of these shoes broke, so I would not recommend them! I used a lovely gem stone clutch bag from New Look (which was a complete bargain at £12) helping to reflect the style of Hollywood Glamour. 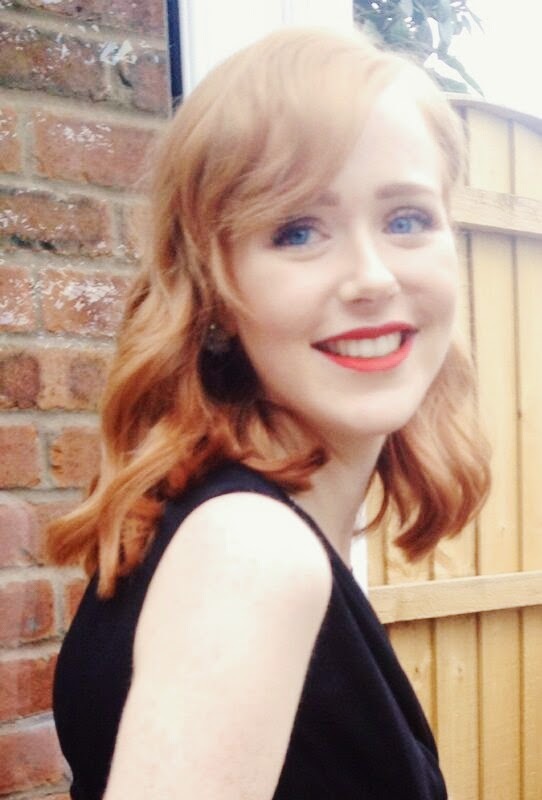 I had my hair styled in a classic vintage wave and I adored it. It definitely sent out strong Marilyn vibes and finished my look off. 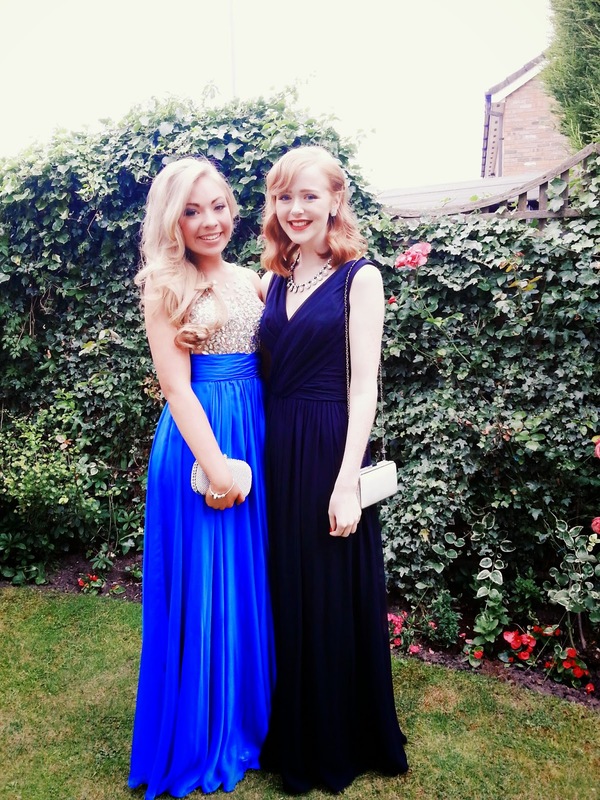 I hope you enjoyed reading about my Prom inspiration and let me know what you think! Oh my god! You looked absolutely gorgeous! I wish I’d been this stylish for mine haha!